You'd be forgiven for walking straight past the entrance to Century Club. It's innocuous entrance is tucked away on Shaftesbury Avenue, its modest doorway only indicated by a small gold plaque. 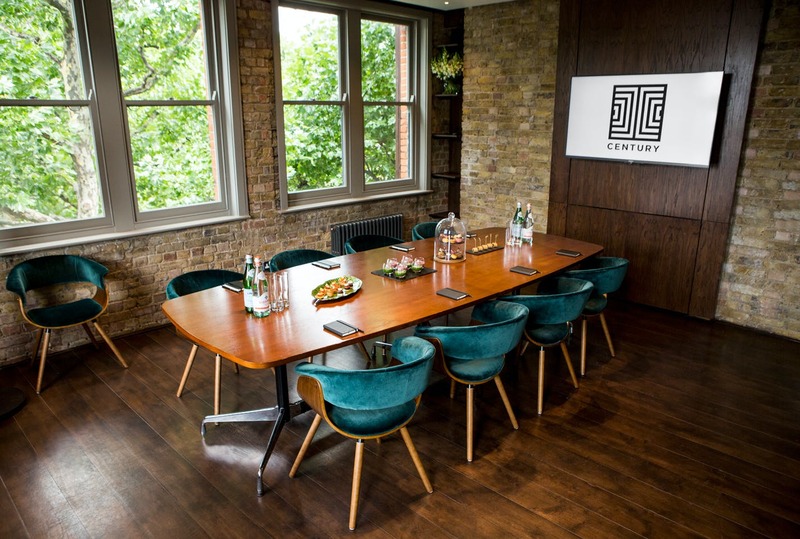 Century Club, named after it's 100 steps, is primarily a private members club, but the beautifully designed interiors and spacious rooms make it an ideal venue for events of all kinds. 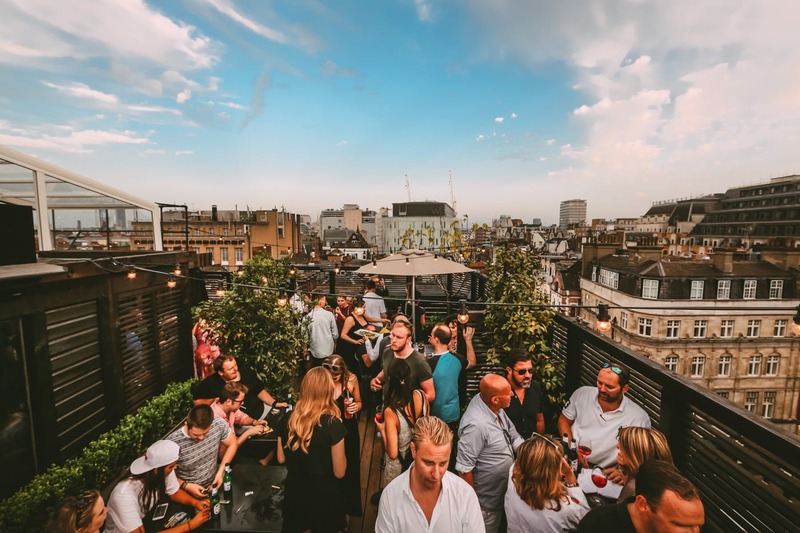 From parties, weddings and private dining, through to conferences, meetings and networking opportunities, the four floors of event space, plus Soho's largest roof terrace is sure to provide the perfect backdrop. 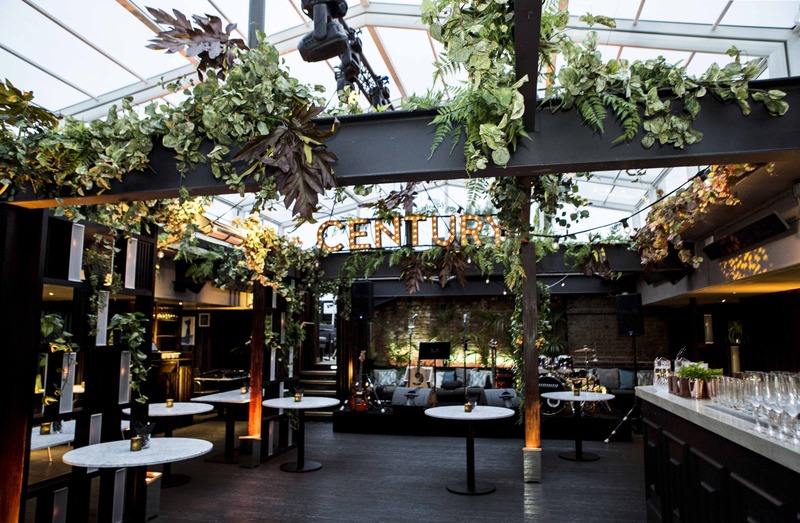 The Century Club Roof Terrace is truly the jewel in the crown of this venue, an oasis in the midst of touristy central London. Filled with greenery and its name in lights (of course), on a summer's evening the rooftop is bathed in glorious sunshine. And, for when the British weather is predictably, well, unpredictable it has a fully retractable glass roof. 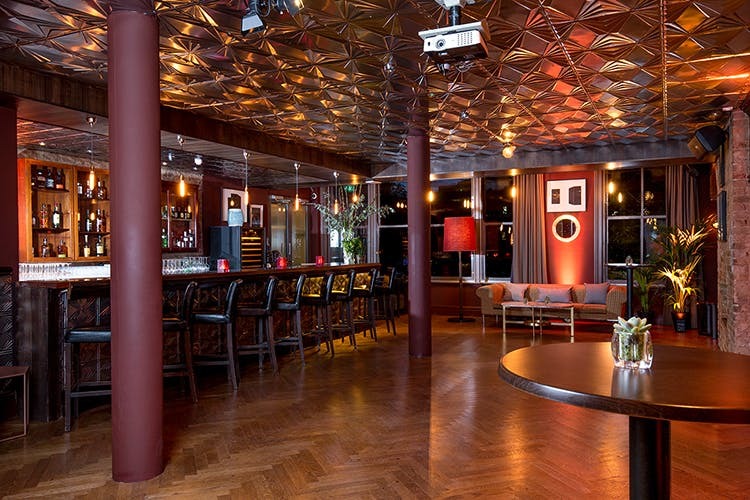 The space can accommodate up to 180 people, with it's own bar, space for a band and plenty of dancing, making it ideal for summer parties and weddings. Meetings have never looked better than at Century Club. 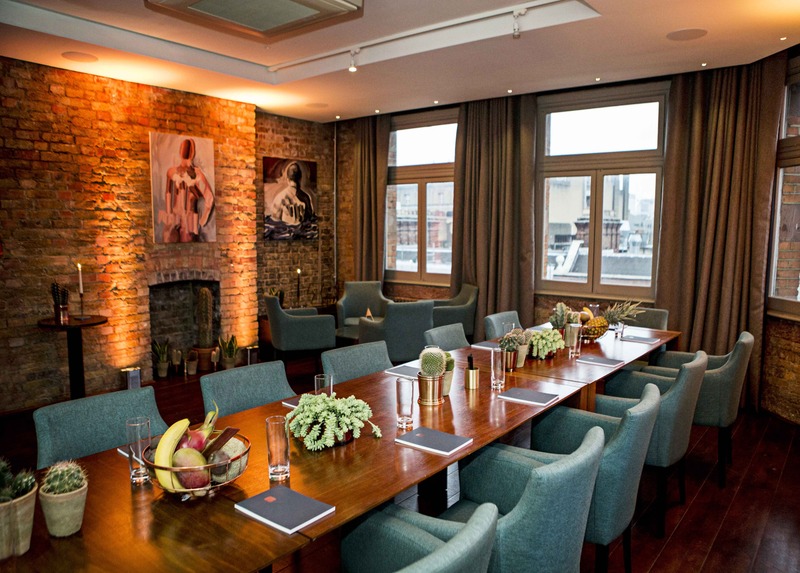 The Park Room is a perfect spot for creative brainstorming, client catch-ups or important board meetings. The room is immaculately decorated as well as fully equipped with WIFI, HD screens and anything you might need to make your meeting a success. The Avenue Room is light yet vibrant room, with its exposed brick walls, accented with modern art. The room looks out over the West End with China Town in full view. Its long table can fit up to 16 people for lunches or business meetings and the added bonus of a break out area makes this the ideal space for workshops and team days too. 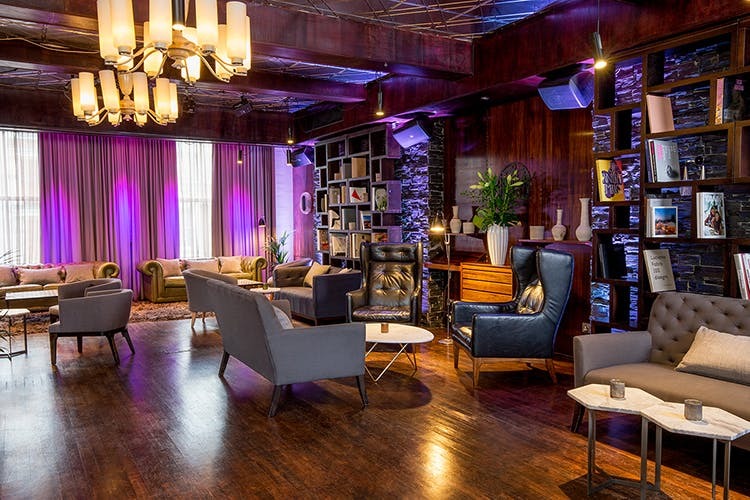 From the 'lounge' vibes of the Club Room to the classy Cocktail Lounge and the impressive Green Room, Century Club has some of the coolest event spaces around. The Cocktail Lounge is one of the most popular and versatile rooms at the venue. It benefits from a large bar, full A/V tech, screen & projector and private bathrooms, meaning the space can be easily transformed into almost any set up, from private dining and drinks receptions to boardroom and theatre style for conferences. The Green Room is the largest space in the very heart of the club. It can accommodate up to 150 people and has it's own bar, private bathroom facilities, full A/V tech and stage. 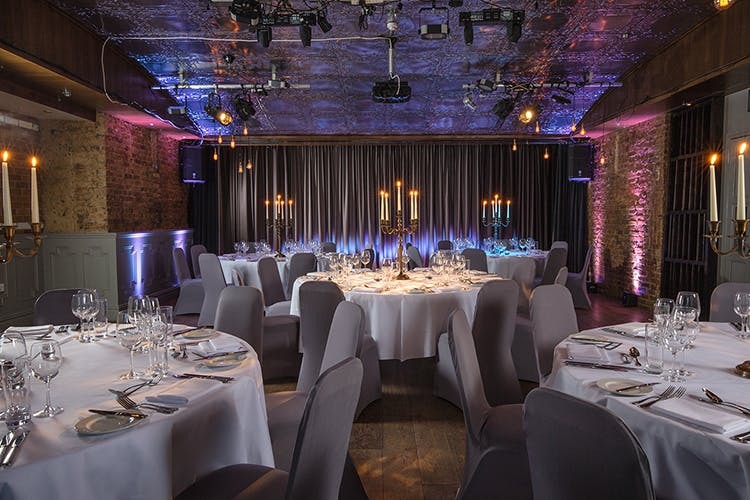 Beautifully decorated, with the exposed brick that runs throughout, the space is ideal for banquets, weddings, drinks receptions and more. So, what are you waiting for? Enquire now about your next event at Century Club.